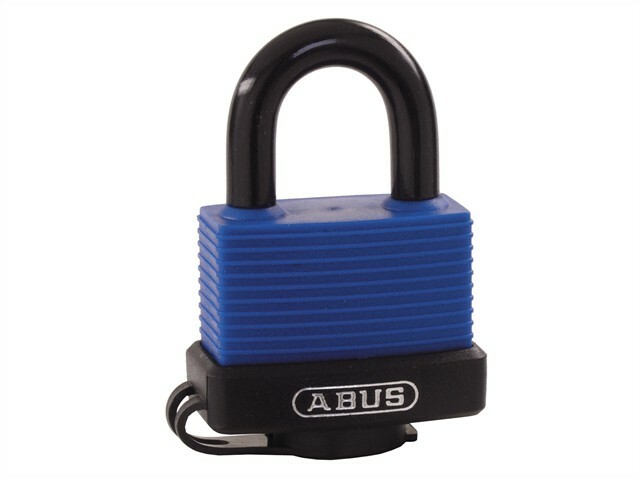 The ABUS 70IB Series Marine grade padlocks have a solid brass body sealed in a protective vinyl cover with drainage channels to protect the cylinder against water and dirt. The shock absorbing vinyl casing prevents damage to polished surfaces. They have a precision pin tumbler cylinder with a stainless steel shackle and rust-free internal components, for medium security requirements in severe weather and environmental conditions, ideal for securing to vehicles and boats. The inside parts are made of 100% rust-proof materials and have drainage grooves to carry off penetrating water. They also feature a double bolted shackle and a self locking cylinder. Codes ending LSC indicate a long shackle.